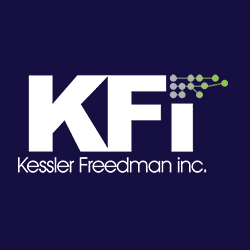 I like to make some comparisons in our own web site’s Google Analytics reports from year to year, so I did a brief comparison last Friday on our 2011 and 2012 referral traffic to the kesslerfreedman.com site in total. Now numbers can change drastically in these areas – obviously, you can change what your web site does and it can generate more or less links, and more or less traffic-generating links. But we’ve been pretty consistent about the content for our site over the past two years – we have our standard business content, and we have our blog that we post once or twice a week on about issues and trends in web development that we find of interest and want to share with those who follow us. We’ve had a Facebook, Twitter and LinkedIn account that entire time as well, and we’ve used those sites to distribute our blog content as well. Here’s the upside: mostly due to our blogging, our organic Google search referrals have increased 7 times in 2012 over what they were in 2011. It is by far the greatest increase in referrals we have. A smaller increase has come from links to our site from our Twitter feed. What has been flat has been the amount of traffic our site has received from our Facebook feed. Actually, it went down about 15%. This, when our page “Likes” actually increased by 37 over the year. And the amount of pages on our site viewed on these visits from Facebook have reduced about 50%. This isn’t really a surprise to us – Facebook Pages just aren’t driving traffic like they used to because of changes that Facebook made in 2012 that has reduced visibility of posts to these pages. And it feels like Facebook has peaked in interest and usage, and less time on Facebook by users means less time they may see your Facebook page posts. LinkedIn is the same story as Facebook for us, except even less promising. Now, the goal of posting in social media isn’t just to generate links to your site. And not all referrals are equal in quality, so sheer numbers are not the whole story. But when you are providing content greater than the blurb visible in social media, and posting more of that content than the year before, you want a growth in clickthrus. It showed up on Twitter. But not on Facebook or LinkedIn. But it’s that observational scale which we’ll be using to weigh our 2013 results – and our future efforts – on Facebook.